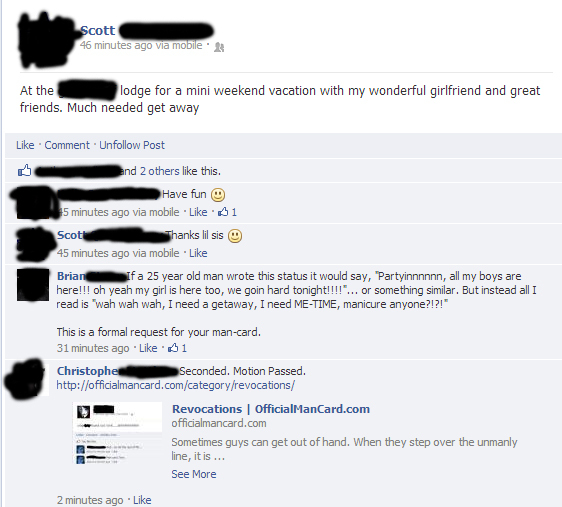 Any man in the 18 – 30 year old demographic should never post about a “much needed weekend away”. MAN CARD – NOW. Sorry son, your man card has been removed until further notice of manliness.